Posted on November 23rd, 2017 by Lorna Parsons and filed under Architecture, BPN News. 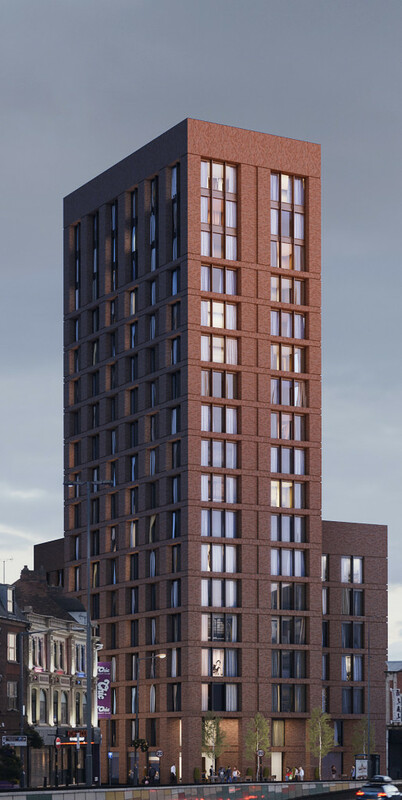 Our proposals for this 7 and 18 storey development on the corner of Bristol Street and Essex Street have today been approved by Birmingham City Council. Located in the city centre entertainment district of Southside, the scheme for The Sandpiper Group consists of two commercial units on the ground floor and 67 1 & 2 bed residential apartments above. Faced entirely in dark red brick the key facades are heavily modelled with deep window reveals and projecting window mullions.